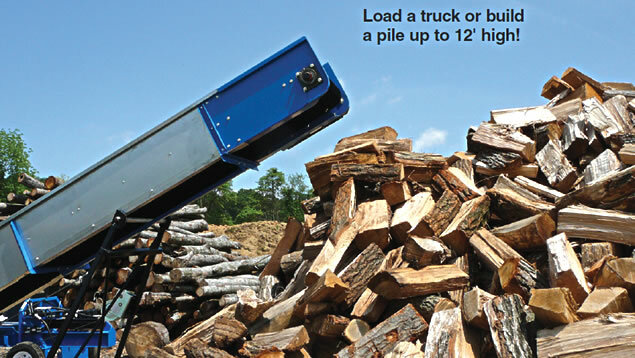 Mighty Ox offers two Elevated Conveyors for high volume firewood processing. The E-20 model is 20' long and reaches 12' while the E-28 is 28' long with a reach of over 15'. Both are powered by hydraulics on the Mighty Ox LS-30 or your tractor hydraulics.